The first show sold out almost immediately and two more shows were added, which also sold out. Due to other commitments I was unable to go to the second show (something that I will no doubt lament for a while), but having tickets to see my favourite band twice was, of course, pretty great. 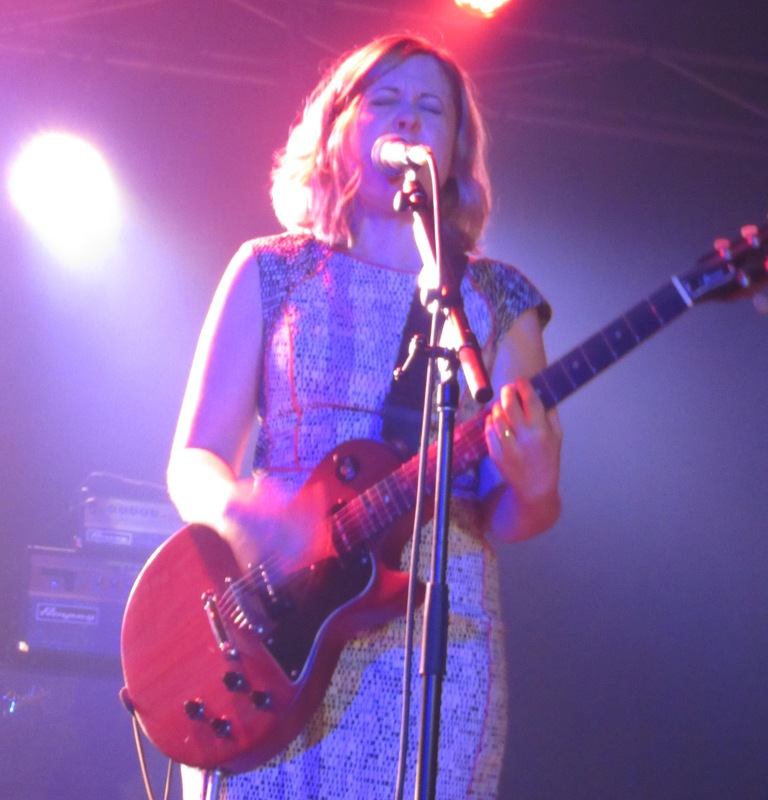 Now I had seen Sleater-Kinney live three times before, once in 2002 and twice in 2006 and I’m pretty sure that the one-two punch in 2002 of their brilliant and underrated sixth album One Beat and seeing Corin Tucker belt out “Fortunate Son” at the Corner Hotel were what first nudged Sleater-Kinney to the top of the list of my favourite bands. During the ten year gap between Sleater-Kinney shows, I was fortunate enough to twice see the incomparable Janet Weiss drumming with The Jicks, as well as a brief, but phenomenally powerful show by Carrie Brownstein and Janet Weiss’ Wild Flag, however, as great as these shows were, neither band had the amazing energy and chemistry that comes when Carrie, Corin and Janet play together… Something that I’m not ashamed to admit that I had literally dreamed about seeing again on numerous occasions in the intervening decade. So, first things first, whoever was responsible for setting up the Croxton Bandroom did an amazing job. While there is still some kind of pokies area in a separate part of the building, the bandroom itself is one of the best places to see a band that I’ve been to: A generously spaced room with a high roof, two bars, plenty of toilets, perfect temperature control and uniquely for a Melbourne venue, no poles obstructing your vision. It also seems that it would have a slightly higher capacity than comparable venues in Melbourne, making it no doubt more preferable for bands and promoters. The Wednesday night show got off to a pretty great start with Dark Fair. Rocking just guitar and drums and apparently named after the hair tones of the two band members, their arresting and somewhat haunting garage rock made a strong impression with those who arrived early enough to catch their set. After formalities were discussed with my friends about the late arriving “tall people” and their presence directly in front of me, I disappeared further forward into the crowd, just in time for Corin, Janet, Carrie and Katie to walk on stage and the opening riff of “Price Tag”. Although fully aware that this song has probably opened every show on this tour and having recently named it “The Best Song Of 2015”, the sheer power of that riff and Corin’s astonishing vocals still managed to take me by surprise. As Carrie took over the vocals at the bridge and the song became darker and heavier, I was left (yet again) in awe of just how perfectly Sleater-Kinney play together. Corin and Carrie’s ability to share, swap and even overlap both vocals and lead guitar is astonishing enough, but the fact that they do so with such distinctive voices and playing makes Sleater-Kinney endlessly fascinating to listen to… This is without factoring in (the no doubt scientifically verifiable fact) that Janet Weiss is the greatest drummer in the world. Ever. Whenever I hear a recording of these three unquestionably unique and talented musicians together there is an instant recognition of their talent and of an outcome even greater than the sum of their extraordinary individual contributions. However, being able to actually see them play together is a sublime experience. Aside from the musical conversation occurring on stage, there is also a conversation comprised of glances, nods, smiles and often laughter that comes from a place of understanding, history and most importantly friendship. The apparent joy from playing together that the band bring in 2016 is something that is all too rare in the bulk of live shows that I’ve gone to and was also notably lacking from their shows that I saw in 2006. Seeing Carrie make one of her big “rockstar moves”, followed by an amused glance between Janet and Corin which becomes beaming smiles and then a laugh from Carrie is truly wonderful to watch in the middle of a rock show. There were numerous moments across the two shows where I was pretty certain Carrie was trying to make the rest of the band laugh, usually with some level of success. “Price Tag” was followed by “Oh!”, which opens with Carrie’s vocal before Corin takes over the lead at the chorus. One of the most notable differences between this tour and previous tours became apparent with this track. As Carrie sang the opening line “If you’re tired of the big so so” every eye and seemingly every iPhone in the venue was fixed on her. When Corin’s mighty wail took over the vocals with “Nobody lingers like your hands on my heart” the attention of the bulk of the audience and their recording devices still seemed to be on Carrie at stage right, leaving the rather distracted viewing experience of watching Corin’s astonishing performance around a series of recording devices turned at 45˚ angles and showing Carrie’s face in wildly variable stages of focus. 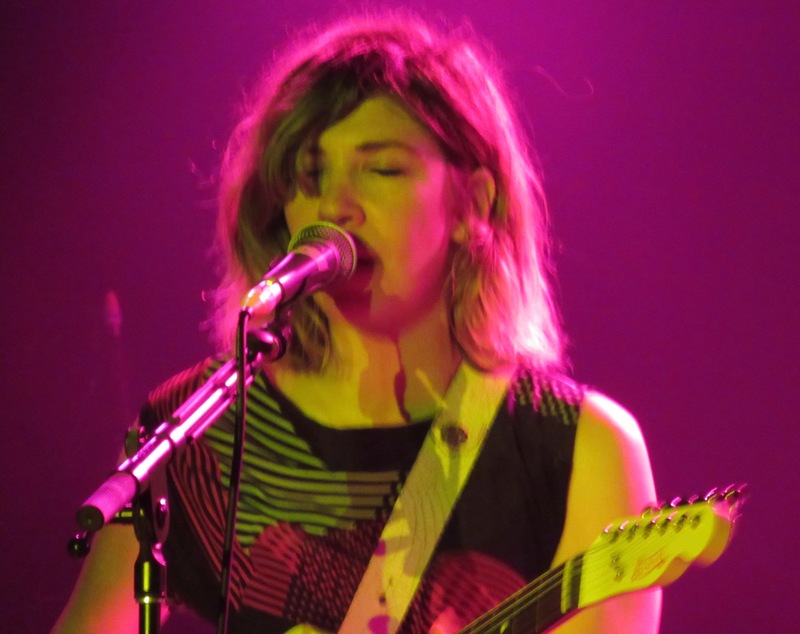 The simple fact that in the past few years Carrie Brownstein had become a star was something that hadn’t really occurred to me prior to the gig. Obviously she has had notable and deserved success with Portlandia, Transparent and a handful of film roles, as well as publishing an excellent memoir and this success appears to have brought with it a legion of new fans to Sleater-Kinney… And anything that brings more attention to The Greatest Rock And Roll Band In The World™, can only be a good thing. The other major change from the previous tours was the presence of the rather gifted multi-instrumentalist Katie Harkin. Her contribution was noticeably far greater than the keyboards, guitar and percussion that filled out the sound on several of the tracks. Her ability to take over guitar duties from Carrie or Corin on a few tracks freed them up to move around the stage more, which in the case of Carrie gave us a series of bonus rockstar moves and in the case of Corin allowed her to put her all into an impassioned, pleading performance of “Gimme Love”. On Friday night I stood in the perfect position to watch Katie mirror Carrie’s guitar lines on a couple of tracks, which not only gave the band a richer sound, but also gave Carrie a launching point for a couple of highly theatrical solos. There were also several times where I found myself watching Katie with some awe as she somehow played multiple instruments at the same time. 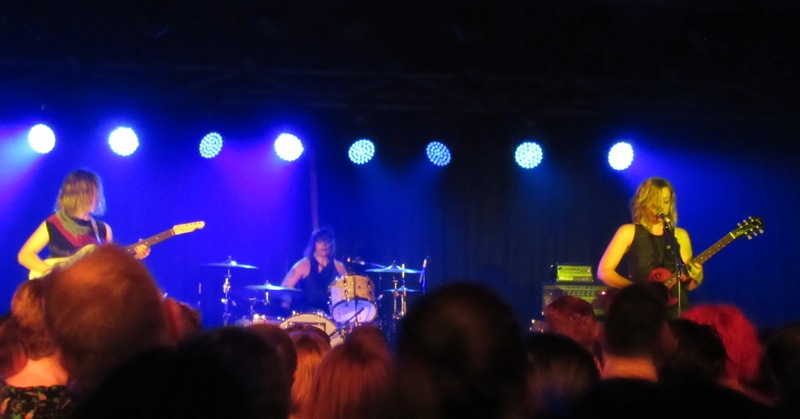 The setlist on the first show carefully spanned the six albums the band has released since Janet Weiss joined Sleater-Kinney in 1997, with at least two tracks from each album. No Cities To Love was clearly the centrepiece of the set with six of the ten tracks from this album featuring that night, however, it was three tracks from 2005’s The Woods that had the biggest impact on the audience. The crashing intro to “Entertain” brought a burst of energy to the crowd which built and built throughout the song and became a frenzy during “Jumpers” (aka The Greatest Song Ever Written™). During the encore, the second half of “Modern Girl” became a loud and incredibly joyous karaoke session as the audience took over the vocals, repeating “My whole life looks like a picture of a sunny day”. For me the first show was filled with highlights, from the awesome surprise of a run of three tracks from 2000’s All Hands On The Bad One (“Ironclad”, “All Hands On The Bad One” and “Youth Decay”) early in the set, to Corin coming back for the encore, leaving her guitar and taking the microphone at centre stage to make a pointed attack on Donald Trump before launching into a powerful performance of “Gimme Love”. Carrie forgetting the lyrics to “A New Wave” and bursting into laughter until Corin played the song back to the beginning of the verse and started singing Carrie’s lyrics until she was able to pick it up again was a wonderful display of the chemistry between the two. Obviously seeing my favourite band in the world play my favourite ever song was always going to make “Jumpers” an almost unbeatable highlight, however, Janet’s stupendous intro to a ferocious performance of “Dig Me Out” to close the show was absolutely awe inspiring. So, anyway, two days later I was back at the Croxton. What is the point of seeing the same band twice in three days you may ask? 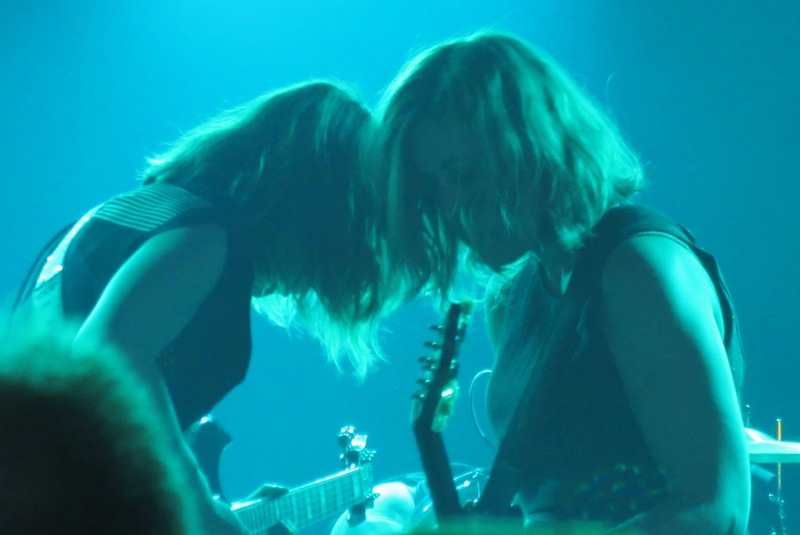 Well… Sleater-Kinney are my favourite band ever and they do have 93 songs across their eight albums, of which I only heard 20 on the Wednesday night. Further to this, opening the show on Friday night was Ninetynine, an excellent band that I had seen a couple of times before and fronted by Sleater-Kinney’s original drummer Laura MacFarlane, followed by U.S. Girls an act that I had heard great things about, but absolutely nothing by. Also, if I haven’t mentioned it already, Sleater-Kinney are my favourite band ever and who knows if I’ll have to wait another 121 months to see them play live again and, you know, they are my favourite band ever… So, yeah, of course I went again. With my new found familiarity with the Croxbury, I arrived early and after grabbing a beer made my way to stage left and settled in for the evening. Noting that I had somehow arrived next to the same awesome couple that I had found myself next to on the Wednesday night, we then spent some time talking about Wednesday’s gig and then the genius of the new Savages album. Soon enough Ninetynine, fronted by original Sleater-Kinney drummer Lara MacFarlane, were on stage and ran through an excellent set filled with passion and energy. Their all too brief show was a reminder that I really need to pay more attention to local gig guides and actually get out and see them live more often. After a very short break U.S. Girls arrived on stage in their combat fatigues and were quite frankly worth the price of admission alone. Flicking on the backing track Meg Remy then grabbed the microphone, looked at the audience with disdain, before launching into the first song. Although ably assisted on vocals by Amanda Jane Crist and almost surreally by Slim Twig on guitar, there is no denying that U.S. Girls is Meg Remy’s show. Remy is an incredibly charismatic and energetic performer, whether stalking through the crowd, towering over the front of the stage or marching into the wings, she constantly demands the audience’s attention. If you get the chance to see them live. See them. Sleater-Kinney kicked off their Friday night set again with “Price Tag”, before cutting straight into “Fangless”. Before going on any further, I’ll just quickly mention that this Friday night Sleater-Kinney show was quite simply the best gig that I have ever been to. 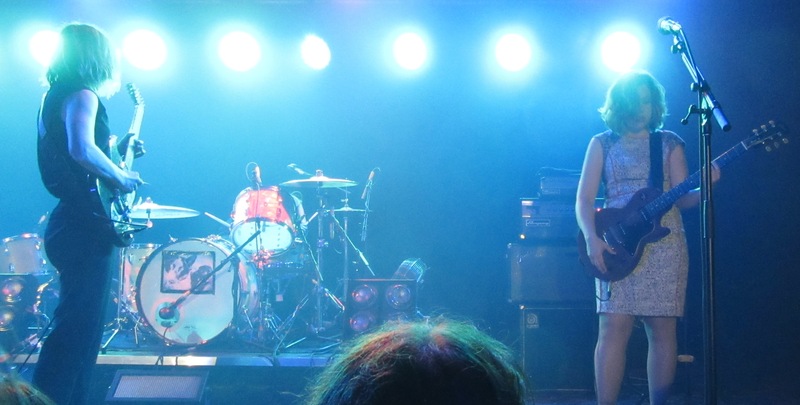 Not just the best of the five Sleater-Kinney shows that I have seen, but of any band. The setlist was structured with a near perfect flow, with each song effortlessly flowing into the next and the performance of each flawless. My appreciation of the show was no doubt enhanced by the decision to find a spot near the front at stage left, which given the setlist could not have been a better choice. Friday night was Corin’s show. Whether Carrie was looking to rest her voice a bit (which seems unlikely given how great she sounded when she did take the microphone), or whether she just wanted to move around the stage a lot putting in a high kick here and a series of Hendrix pelvic thrusts on the floor there, or whether Janet simply wanted to hear Corin’s voice a lot more that night… Whatever the reason, the usually relatively even split of vocal duties was skewed heavily towards Corin and her voice could not have sounded better. 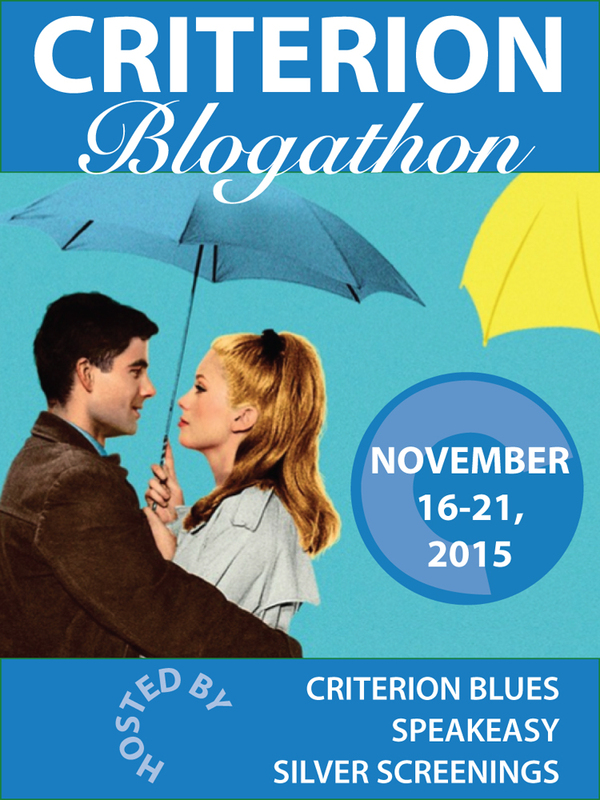 There was a considerable difference in structure, as well as content, between the Wednesday and Friday shows. Like the setlist to the first show, Friday’s set was comprised of 20 songs spanning the six albums from Dig Me Out onwards, with at least two tracks from each album. However, the song choices from several of the albums varied considerably and the running order was structured around blocks from each album, which enabled a seamless flow from song to song. For instance, the first nine tracks were composed of five tracks from No Cities To Love, two from One Beat (“Oh!” and “Far Away”) and two from The Hot Rock (“Get Up” and “The End Of You”) and with the exception of “Bury Our Friends” which segued perfectly into “Words And Guitar” from Dig Me Out later in the set, no other tracks were played from these albums. Similarly, following the only two tracks selected from All Hands On The Bad One (“Youth Decay” and “The Ballad Of A Ladyman”) and the aforementioned “Bury Our Friends”, the last seven songs of the set were made up of three tracks from Dig Me Out (“Words And Guitar”, “Turn It On” and “Dig Me Out”) and four from The Woods (“What’s Mine Is Yours”, “Entertain”, “Jumpers” and “Modern Girl”). Given the fierce energy of these two albums, to say that closing out the set with an extended combination of tracks from the two was finishing on a high is an understatement. “The Ballad Of A Ladyman” not only provided a powerful moment of calm before the onslaught that ended the main set, but was a perfect showcase for the range of Corin Tucker’s wholly remarkable voice. In fact, all four of these songs were probably Corin’s standout performances of the night. Hearing her voice towering over the relentless riffs of “The Fox” and the frenzied pop of “Turn It On” would almost certainly have been the highlight of any show, if not for “Far Away”. “Far Away” is a truly exceptional song anyway, the only song which comes remotely close to capturing the shock, fear and anger of 9/11. It is also “that one song” that I had wanted to hear but hadn’t on each of the four previous times I had seen Sleater-Kinney live. Apart from being one of my favourite songs by the band, the energy, anger and sheer power of the track is something that I was eager to see translated into a live performance. I was not disappointed. From Corin’s delivery of the emotional opening lines “7:30 a.m./Nurse the baby on the couch/Then the phone rings/Turn on the TV/Watch the world explode in flames/And don’t leave the house” through the steady build of the song to the passion in her voice as she repeatedly wailed “Why can’t I get along?” over the frantic finale, the performance of this song was a raw, visceral experience and something that I doubt that I’ll see topped by anyone. So, yeah, “Far Away” was the highlight. “So was it worth going back two days later to see the same band live at the same venue?” I hear you ask. Well, even putting aside the fact that I believe that the second show is the best gig that I have ever seen, the answer is most definitely yes. The difference in not only the songs played at each show, but in the construction of the setlists, made for shows that were both unique and brilliant. Most importantly, however, I truly believe that Sleater-Kinney are The Greatest Rock And Roll Band In The World™ and will take any opportunity that I can to see them play live. You should too. Thanks for sharing both experiences with us. I’ve never done that – gone to see an act on two different nights in the same venue, but I think I will the next time an opportunity arises.